The new fifth generation (5G) cellular system that is being installed in every major American city. It will intensify the microwave radiation health risks for everyone living in those cities. It is estimated that the daily microwave exposure generated by the 5G system will be equivalent to living inside a microwave oven and turning it up to high and baking yourself for 19 minutes a day. The microwave frequencies that are being used in this new generation 5G system are in the 1-millimeter wave length. The long-term health risks of these short microwaves have not been adequately tested and the Federal Communications Commission (FCC) and telecom companies are simply presuming that they are safe based on 1996 research. Research on microwave frequency radiation conducted since 1996 shows that the existing 3G and 4G cellular systems are causing serious harm to human health. The 5G systems will increase the level of harm to the level where illness and death can no longer be denied. A million or more new 5G towers will be erected in American cities. FCC regulations make it illegal for government entities to try to delay or stop cell tower installation on the basis of health risks. Telecom companies can sue cities and states that attempt to use health concerns to impede their cell tower building plans. There isn't really anything you can do except wrap that modem in mu-metal or some kind of foil and ground it. But these RF frequencies very likely will still transmit out of it down the wiring leading away from it. I had the same thing almost happen here with my local cable company just about to put in an RF transmitting modem. I asked about it ahead of time when they were here ready to install "the latest up date" when my old one failed. He said he could turn off the transmit portion, but I don't trust them on that. Also, I suspected it would have a switching power supply in it that generates electrical noise in the form of RF noise. Laymen refer to this as "dirty electricity" which can and does cause EMF sensitivity in a lot of people. . I had them plug it in after I turned on an A.M. radio and sure enough, so much noise on the radio that I couldn't listen to it. I had them unplug it and the noise went away. Plug it back in and the noise came back. I suspected this would be coming and had bought an old type non transmitting modem on ebay just like my old one that had a standard power supply with it. (non switching), and had it here ready to go. They started making excuses that it was different and wouldn't work. I told them that was not true because it was the exact same model Scientific Atlanta modem as my old one that belonged to them. The only thing they would have to do was register the new serial number off that modem because it wasn't in their system. He was trying to get out of it because it was a pain in the neck to register the serial number as he had to call about three different people in the company to do it, but he finally got it done and that was four years ago and i'm still using it. And I also bought another spare in case this one goes out some day. Now the only problem now with all of this it's just a matter of time before 5G makes it impossible to shield against this. Once you get outside your house you will not escape it. When it happens here I will have but a short time to live and will die an agonizing painful death. I know because after working in ground communications for 35 years at the John F. Kennedy Space Center here in Florida, as well as several years as a commercial broadcast engineer, I am extremely electrically sensitive and have been through the intense pain with these systems before. Only then I could either get away from them or shut them off. With 5G you can't do either. It will be there continuous ad infinitum. It's a death sentence for millions of us and I truly hope the ones doing this to us rot in a certain hot place down below. ---------- Dave W. --- Florida. The danger is far simpler than any discussion of frequencies. The immediate danger actually comes from the over abundance of positively charged ions. we absorb those excess ions and thet interfere with our postively charged electrolytes. mG++ for example has 300 roles to play. But they are repelled by too many positively charged ions. is it any wonder that there are so many symptoms that can arise? 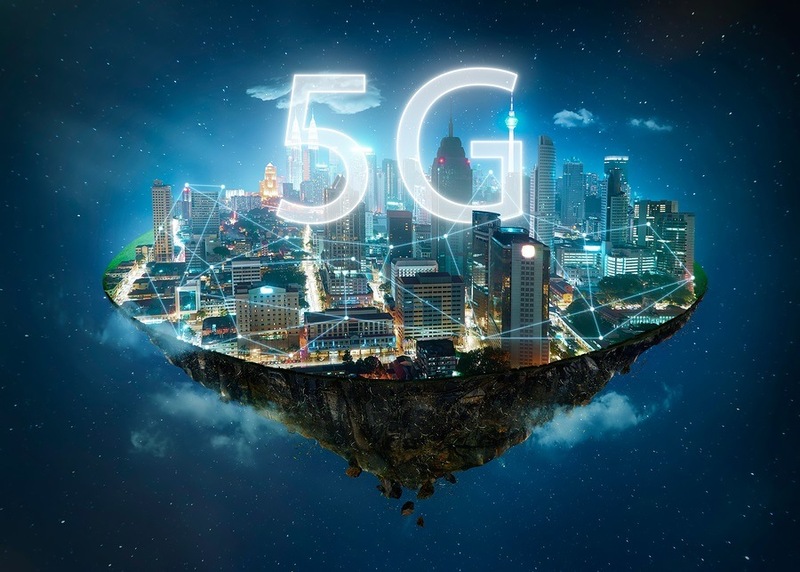 5G will increase the ion excess to an extraordinary degree de to their abundance and moreso due ot their proximity.. For those reasons, stark health problems will show up instantly in some people and in everyone else shortly thereafter. Those who are not killed by heart attacks will be stricken by the flu and pneumonia. This won't happen to just a few people but to every person who is exposed. Animals and plants will ikelwise be negatively affected. If we can't stop it completely, we should at least impose a 20% tax to the telecom companies for installing and using the 5G antennas, and tax the power companies by .3% for every smart meter they have installed or are going to install. Though they may try to jack up the price of 5G and smart meters to help pay the taxes, that price hike may discourage some lower income families from ever considering 5G. That could mean we can in the very least hit the telecom companies where they least expect it; their wallets, and it's doubtful as though they'll sue us for that. We may not be able to stop them, but we can at least make money off of 5G and smart meters, putting it to good use elsewhere, not to mention making it harder for big telecom to sue us because taxation technically isn't restriction. One error: G5 has been tested. It was found to be dangerous and unable to use in public open areas. Wish my cousin was still here to speak out, but he died from cancer all over his body from G5 installations he worked on. He used to say that G5 would never be able to go out to the public, far too dangerous.... He worked for BC Systems. He brought me to an installation once in downtown Vancouver. The walls were over 2 feet thick. And if that's not enough incentive to dump the phone, I don't know what is. Get rid out your wifi altogether,and your cell phone, use a cable connection. Make sure there is no smart meter on your house either. Good luck getting your health back.